A network management software is a program that discovers, provisions, monitors and maintains computer networks. Computer Networks can be very complex but, thanks to a network management software, this complexity becomes manageable. Collects information about network devices and exposes network faults, compliance issues, performance bottlenecks and other malfunctions. Has a wireless scanning tool that gathers information on the wireless networks present in the area, their signal strength and whether or not they are close enough to cause issues. Is responsible for monitoring all of the problems in the network and protecting it from unauthorized users. 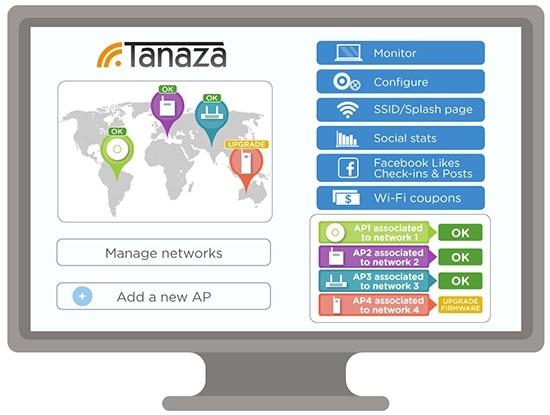 Channel assignments and overlaps can also be managed through cloud-based wifi network management software that has a centralized control over the access points. Centralized cloud-based control makes it possible to identify, diagnose and resolve issues from one location and monitor networks from a web-based application.